I love to write. And I really love to be vulnerable and transparent with everyone I meet, even if it means I look a little weird sometimes. 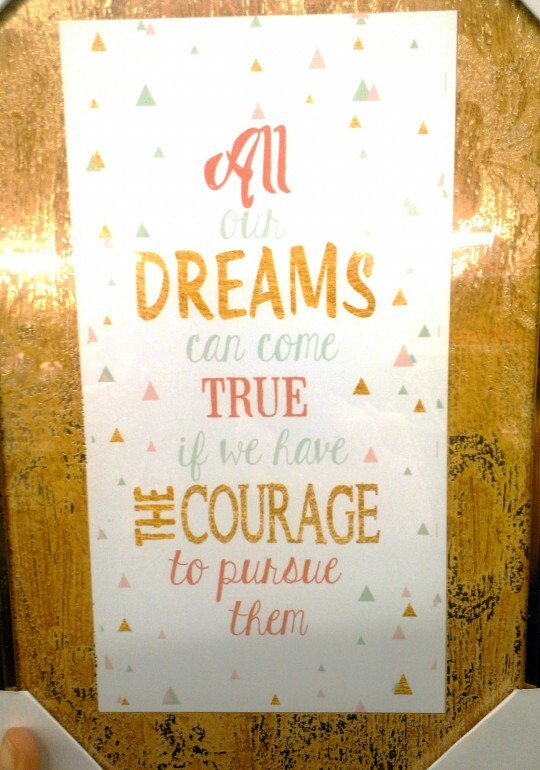 This blog is a reflection of every facet of my life, the fun silly stuff, things I’m learning and walking out, things that are very real to me. I’m always in the process of learning, growing, stretching in each of those areas — something on which I place a high value, especially since I plan on being useful in this world. 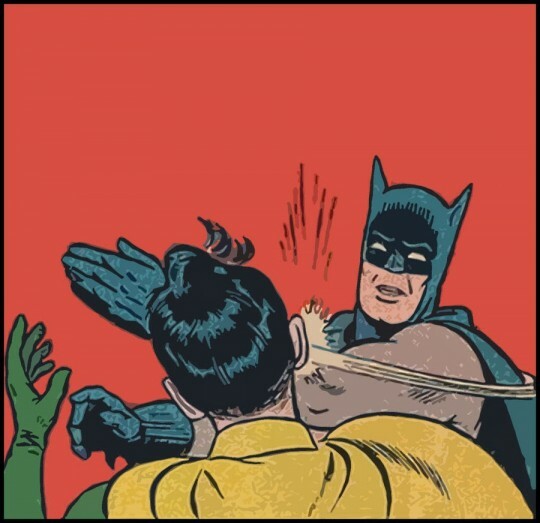 I had someone leave a comment who had never left a comment before, a reader who was irritated that I was on a ‘never ending soul search’ or something to that effect. I don’t see how that’s a bad thing, really! I want you all to know that these posts that tend to get pretty personal, are spiritual and introspective in nature… that’s just who I am and the journey I am on. I am a sensitive soul searcher. What use is it to ignore your own soul? To ignore what’s hurting? To ignore who you are? Now that that’s out of the way, I feel very prompted to talk about taking offense, haha! Timely, wouldn’t you say? Offense is something we all know and know it well, especially during this wonderful election time, amirite? I’ve heard people describe offense as “drinking poison and expecting the other person to die”. It really couldn’t be more plain than that! I think I was blind to how offended I was. I was so angry with the world that I was literally walking around with a scowl on my face. I remember shopping at Michael’s craft store, quite truthfully My Happy Place, and someone asked me if I needed help because I looked upset. 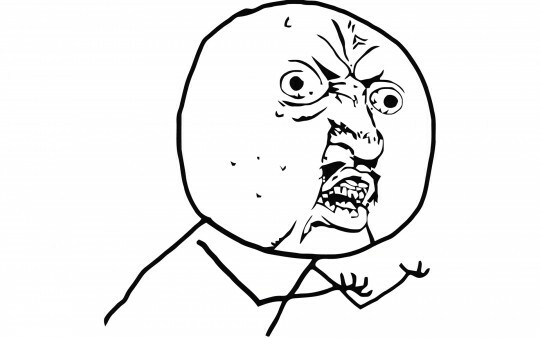 I was like, “UPSET?! What do you mean UPSET?! I was having a nice time looking at these stamps until you had to interrupt and accuse me of being angry! RUDE!” I didn’t say that of course — I mean, confrontation has never been my jam, so this stuff would just fester and boil under the surface until one lucky person would bear the brunt of my issues when they’d unexpectedly explode like flaming fury out of my mouth hole. I mean, really though, how could I not see that I was so angry on the inside? It’s just so easy to blame everyone else when you feel negative emotions. I would get offended at strangers who didn’t say thank you when I opened the door for them and would usually say a loud and sarcastic, “YOU’RE WELCOME!”, you know, to teach them a lesson. That would make me feel better for a whole 2 seconds. I would get annoyed with waiters and waitresses when they’d ask me if I needed more water because they were interrupting my conversation. I would get irritated with my coworkers when they’d plop a stack of papers on my desk — you know, the work I was getting paid to do. I started noticing around age 22 that I had a wrinkle, an anger line between my eyebrows that was formed from so much frowning. A WRINKLE AT 22! Mercy. But I honestly thought I was justified in my anger. 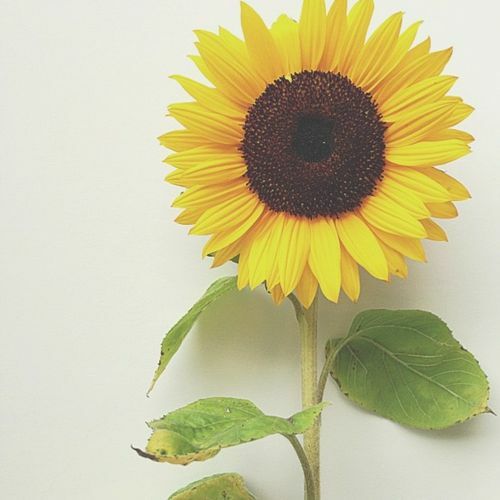 I was a thoughtful person and really did go out of my way to make people happy and comfortable, but everyone else was rude, no one appreciated my kindness, no one appreciated me. And no matter how many kind things I did for others, there were still those people who were hateful, who didn’t like me. No matter how hard I tried to be likeable, people still didn’t treat me how I wanted to be treated. And I’m sure that 99% of the time, they didn’t even mean to offend me. That is, in a nutshell, what was killing me on the inside. Now imagine the havoc that mindset would wreak on a marriage. And that was just what I brought to the table, not even talking about Justin’s stuff! Walking around the house and seeing a sock on the floor would send me into a fit of rage because doesn’t he know all I do for him and he can’t just pick up one sock!? It was the principle of the thing. In that moment, it didn’t matter that he loved me — I couldn’t remember all the sweet thoughtful things he did for me outside of that moment where I felt wronged. I couldn’t see that the real problem was that I was chronically offended. I really believe it wouldn’t have mattered if every person I held the door open for said thank you, if all the waiters waited until I was done with my sentence to refill my water, or if Justin walked on eggshells and kept the entire house clean for me all the time, showered me with compliments and brought me flowers every day — the problem was me. And nothing improved in my life until I faced that hard fact. The truth is, we really do take offense. It’s a choice. But what do you do when you truly can’t help but feel angry, no matter how unoffended you try to be? Because I know I’ve heard that quote “offense is taken, not given” a thousand times and it didn’t help me one bit in actually fixing the problem. I tried, and I personally couldn’t help but to choose offense. I was hurting so much. Well that, my friend, is what I’m walking out. I don’t know it all, but I do know that the first step is realizing the world, your husband, your kids are not out to get you, and that your sweet pure heart has simply been wounded. You’ve been hurt. You’ve been wronged. And really, the anger that boils is just a by-product of fear. Whaa? For me, down at the root, I fear not having love reciprocated. I struggle with fear of rejection. Why would it bother me so much that a sock is left on the ground then? That doesn’t seem like fear of rejection. But that fear really is at the bottom of every single circumstance where I become offended. I get angry with Justin because I feel that he doesn’t love me enough to pick up that one dang sock, after all I do for him. I try so hard to help people and then they don’t say thank you. They don’t appreciate me. They are rejecting my efforts. They are rejecting me. And that’s upsetting, that’s scary, that’s hurtful. So yes, that outward burst of anger is just fear brought to a boil. So how am I getting that fear uprooted then? Well, you can sure try to do it without God’s help, but I can’t tell you how successful that will be. All I know is I sure couldn’t do it without Him when I tried. So I finally asked for His help. I asked Him to show me what He thinks of me. I read scriptures that tell me how loved and accepted I am. Because when the God of the universe is in love with you, hasn’t rejected you no matter what crap you’ve pulled in your life, and still shows you every day that you are accepted and beautiful and worthy of love, that fear of being rejected by people will have no option but to go. Because people’s opinions aren’t the stuff of truth. People are all just hurt and wounded and broken themselves. The awesome thing about getting that fear uprooted is that the anger will go with it. It’s dwindling more and more each day. I’ve been seeing some fruit of that emotional healing in my marriage. I can’t tell you how different the tone of our relationship is, with just that shift in perspective. We’re trying to let go of all the burdens we place on one another. All those needs we expect the other one to meet for us, those needs we weren’t designed to fulfill for one another… yeah, letting those go. Sure, we have things we have to do for each other that are just a normal part of marriage, to show each other we care, to help, to be partners in life — we’re not living in la la land. But instead of lashing out at one another because something didn’t go perfectly and the other one let us down, we’re looking inward (There’s that soul searching again! ), facing the real problem on the inside. And you know what? It’s making our marriage stronger, giving us the capacity to handle bigger life issues in unity, and overall leaving us with a stable, loving relationship that we haven’t known before. This process really is bearing much, much fruit. 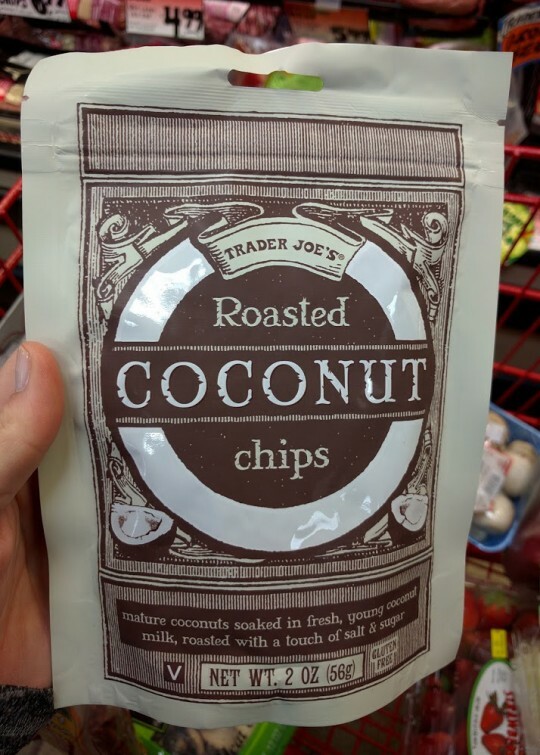 Ohh, Trader Joe’s. You never cease to amaze. 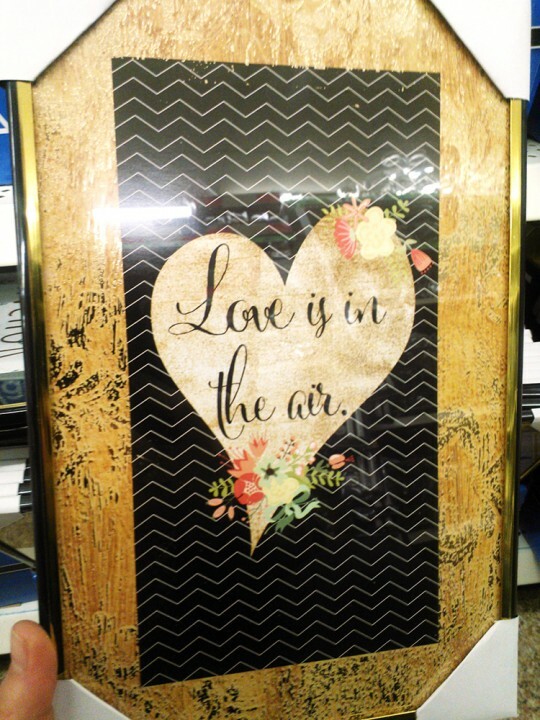 I’ve been wanting to write this post for quite a while, sharing my current favorites from my beloved store. 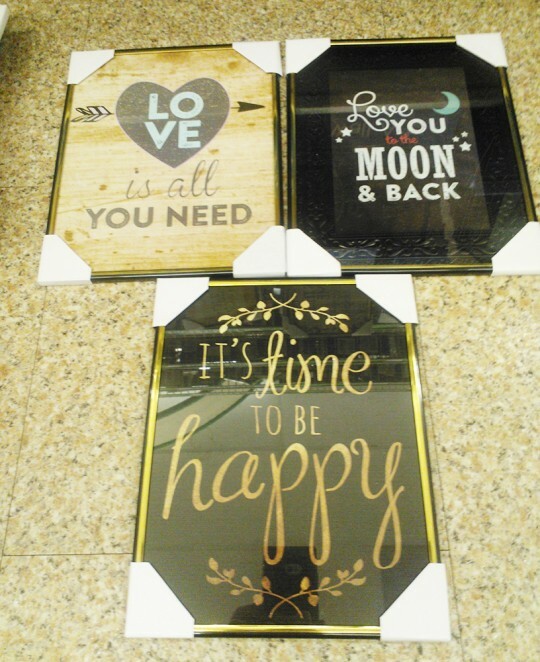 The problem is, there are so many great choices and they come out with new items so often, it was difficult for me to choose! 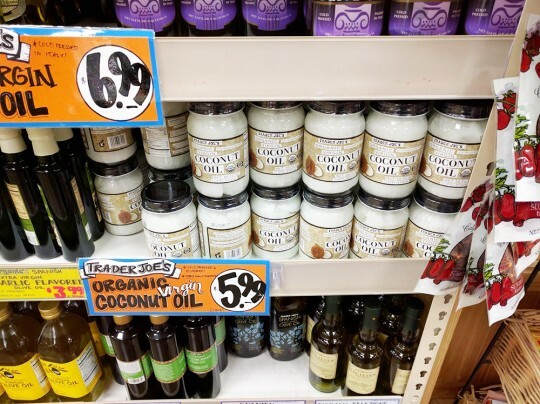 One of the great things about Trader Joe’s is the community of shoppers who swap tips and share favorites. My beautiful friend Natali is one of those people — any time she and her husband host a party or get together, she has some new discovery from TJ’s for us to try. It’s no secret we both love the place and even run into each other there from time to time, so we decided to join together on this and each share our own favorite picks. 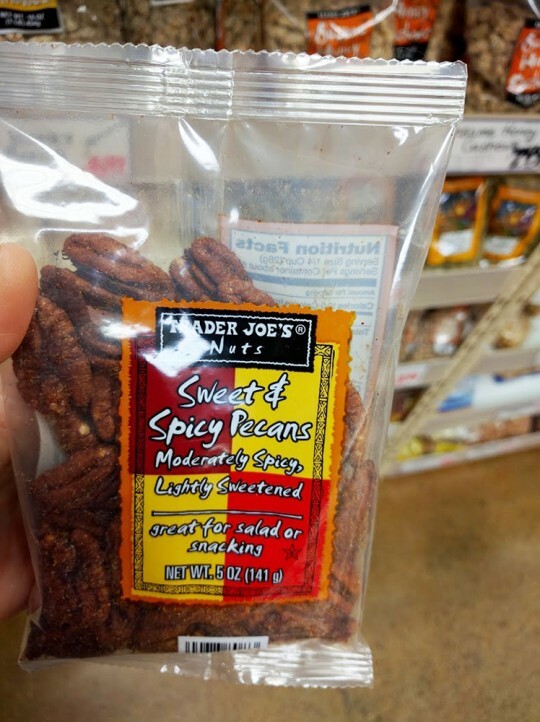 Pop on over to The Thinking Blonde and check out her post, Trader Joe’s Treats: A compilation of grocery guilty pleasures. I am fully riding on the coconut oil train, letting my freak flag fly. It has a million uses. I cook with it and slather it on my body. It needs no further explanation! 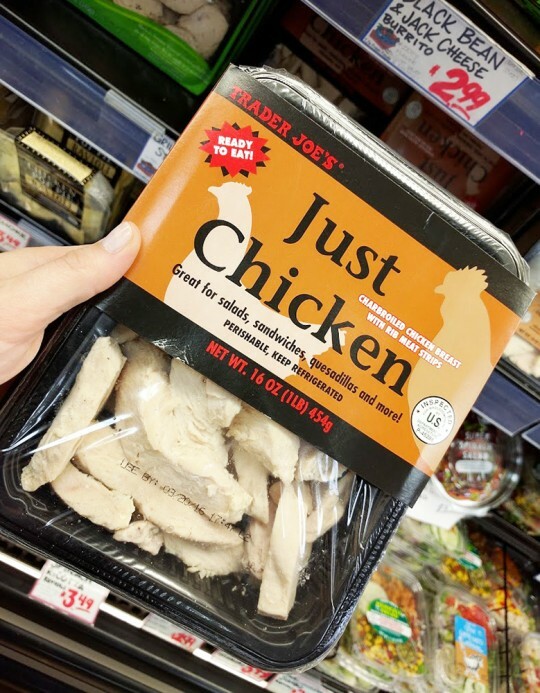 This stuff is just precooked and sliced chicken breast and it’s perfect when you need to just throw together a quick healthy meal and don’t have the time to grill some chicken. It can be bland on it’s own so I season it up and put it on salads, sandwiches and also use it as a topping on pizza (CPK Thai Chicken Pizza, yasssss). 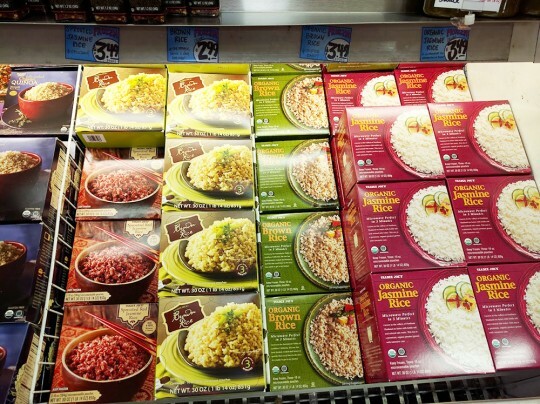 Another quick option for a busy night are these frozen bags of rice and quinoa. I almost always have a box of the Organic Jasmine Rice on hand for throwing together a stir fry or to add into soups. These rainbow carrots are a good way to trick your kids into eating vegetables. HAHAHA oh I make myself laugh. But you can sure try. 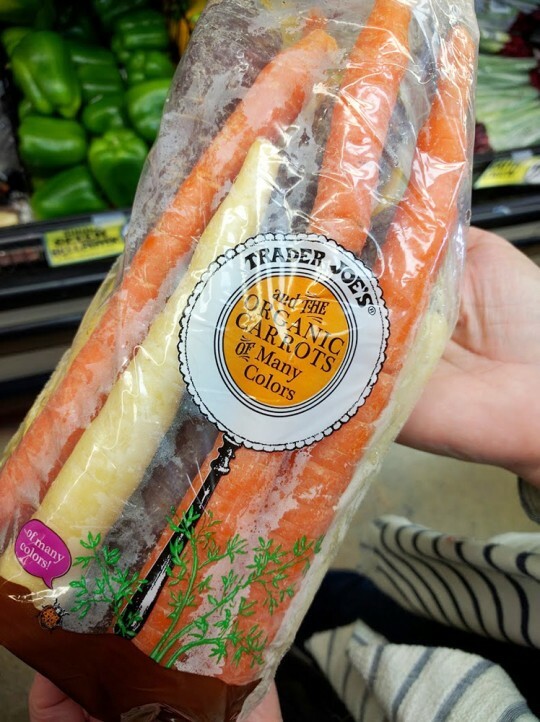 That’s why I first bought these guys, for the kids, but I’ve personally grown to love them more than regular carrots. They ARE still just carrots I suppose, but isn’t it just so much more fun to eat the rainbow? Okay. If I could only buy one thing from Trader Joe’s I would most DEFINITELY be buying the peanut butter cups, but this would be a close second. 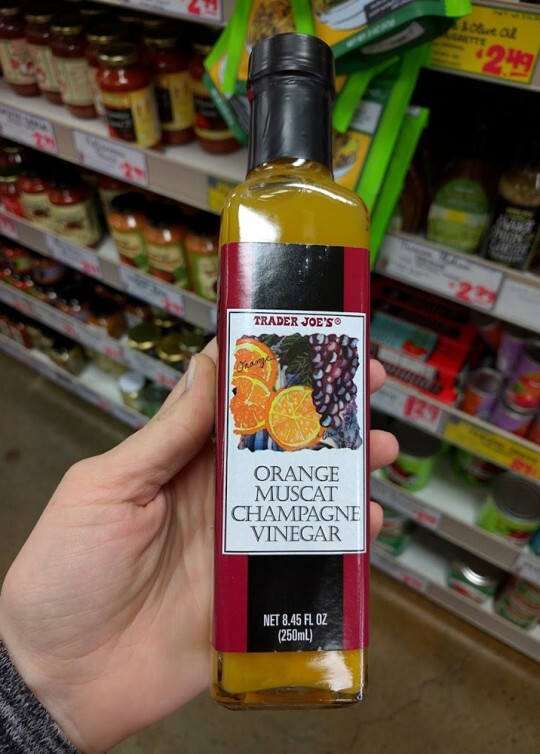 It is the tastiest vinegar, perfect for lightly dressing a salad or you know, just guzzling straight from the bottle. Is that bad? IT’S SO YUM. These might seem weird, as they did to me a few years ago, but just give them a try if you haven’t yet! It’s so good to have something like this on hand if you just want a little sweet something but don’t want to go full-bore rainbow chip cupcake binge. Not that I’ve ever done that. If you’re into maple syrup, agave and honey, check out their selection. 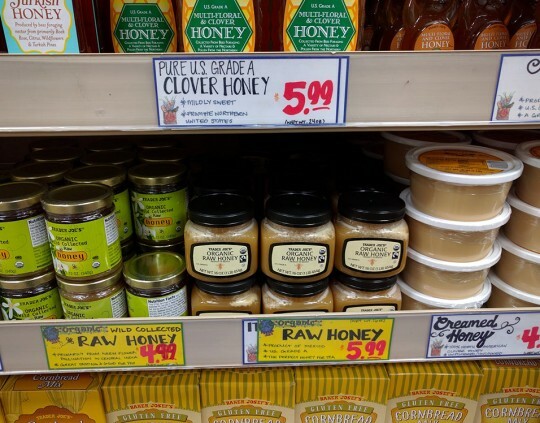 The Organic Raw Honey is by far my favorite. At night before bed, Justin and I have a cup of tea with a little bit of this honey and it’s just a lovely way to end the day with my boo cakes. Much better than downing a whole bag of Takis, which again, I know nothing about. “Great for salad or snacking”, most definitely I agree. A little bit goes a long way with these bad boys. I put them on salads usually, and a whole bag will last me quite a while. 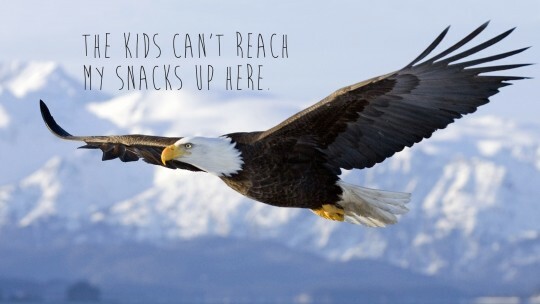 They’re really tasty though! As a matter of fact, the entire nuts and seeds selection is awesome. I’m not eating vegan anymore, but it was always nice to be able to find bags of raw cashews so easily. Vegans love them some raw cashews. THESE ARE THE BEST. 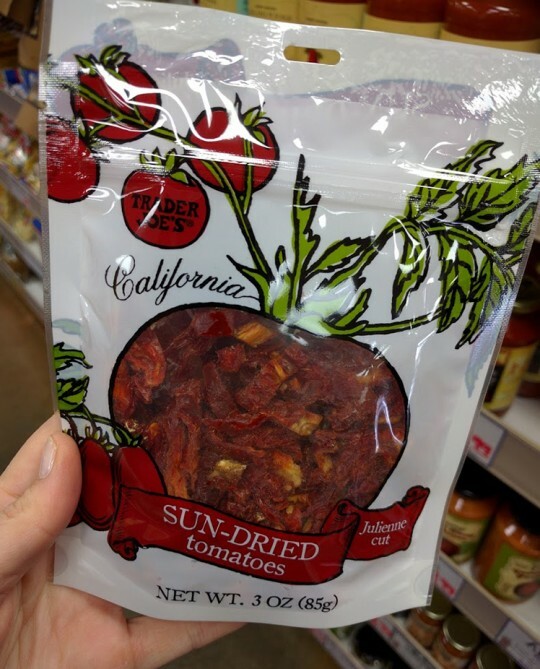 Unless your grandma runs a sun-dried tomato farm and you are forced to eat them as a sign of family loyalty, do not ever buy any other brand of sun-dried tomatoes. They are the softest, best tasting sun-dried tomatoes on the planet. Yes, I just dared to make that claim. Sometimes you’ll buy them and they’re these little nasty dried hard beef jerky weirdness, but ohhh not these. Try them. You’ll understand. I don’t want to say the dreaded “M” word on my blog, but you get my drift. 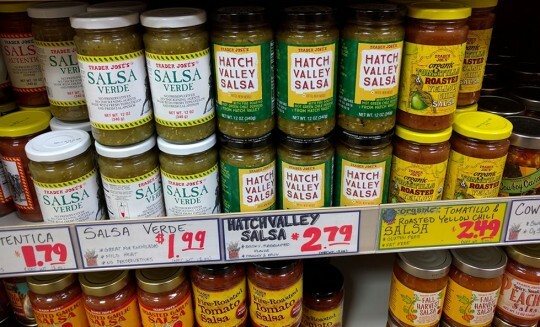 I haven’t tried every single flavor they offer, but the Hatch Valley Salsa (green chile) is so yummy. I’m all about easy chicken-crockpot recipes and these are really great for that — throw in a jar with a few chicken breasts and BAM, dinner. It’s also great on the frozen tamales with a little avocado on top — oh me, oh my. My sister in law introduced me to the Spicy, Smoky Peach Salsa and as funny as it sounds, it’s delicious as well! 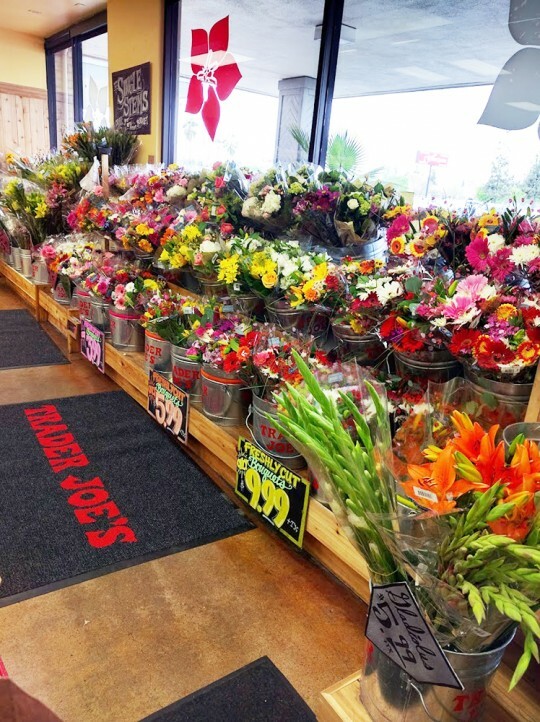 They carry such a beautiful and inexpensive selection of flowers, I don’t feel bad picking out a bunch for my kitchen table nearly every time I’m in the store. Now that I’m thinking about it, the very first time I realized TJ’s carries such pretty flowers was about 7 years ago when my new friend Natali gave some pretty purple ones to me as a ‘just because’ gift! Yeah, Nat, we definitely have Trader Joe’s weaved into our friendship from the very beginning, ha! 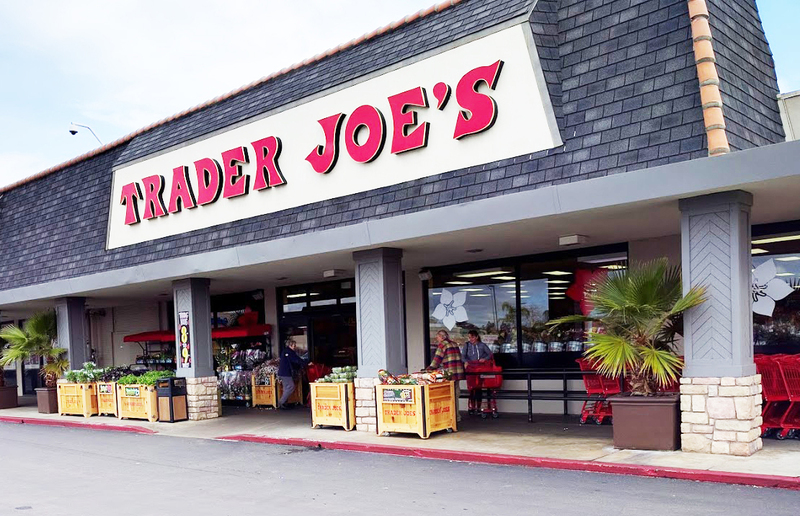 I could really go on and on about my love of Trader Joe’s, but I’m sure you already feel the same. One step in that place and you can’t help but fall in love! 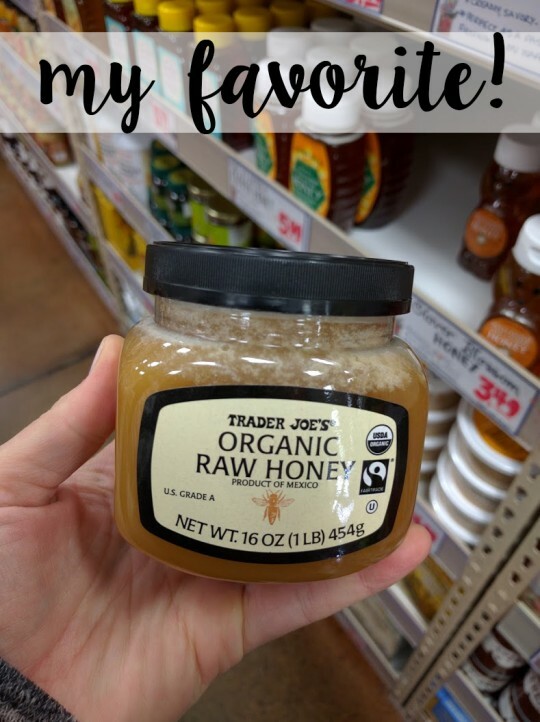 I’d love to hear your favorite products from TJ’s in the comments! 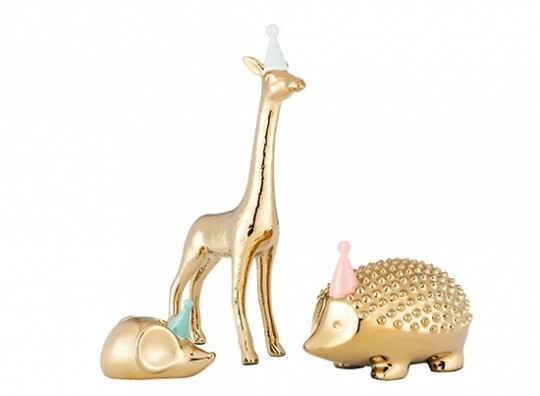 And don’t forget to check out Natali’s post to see some of her favorite guilty pleasures! COME ON. I think I have to go back for that guy. 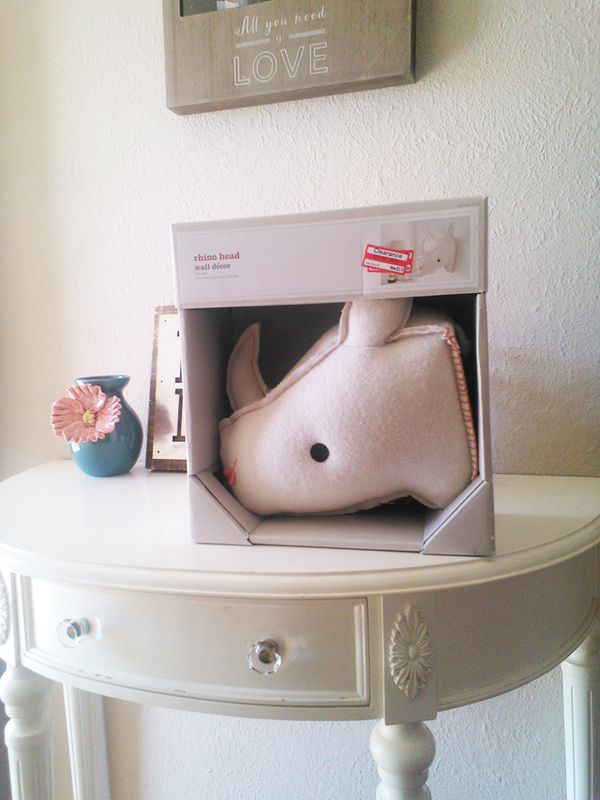 I think I’ll test the rhino head in Ruthie’s room to see if it weirds her out or not. If she approves, I will consider this a successful random purchase! Either way, I will definitely be pulling a Godfather and putting it in someone’s bed. Will follow up on this soon. I know this is riveting, news-worthy information right here and I don’t want to keep the world biting their nails in anticipation. 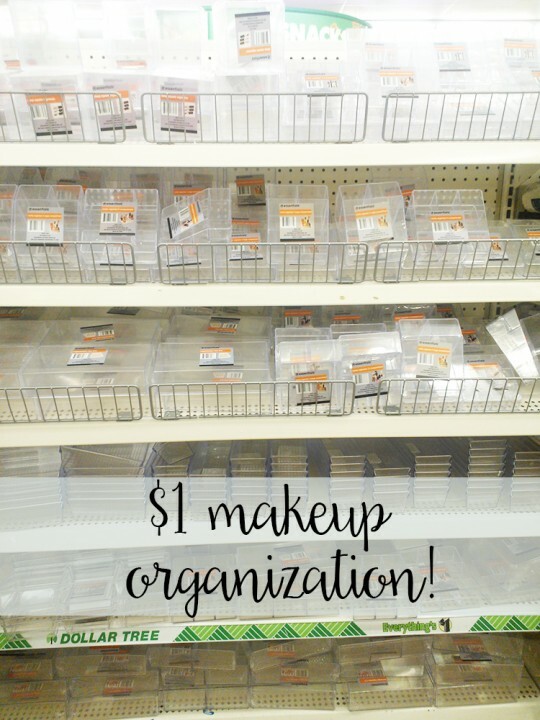 I LOVE makeup organization! Like, a lot. 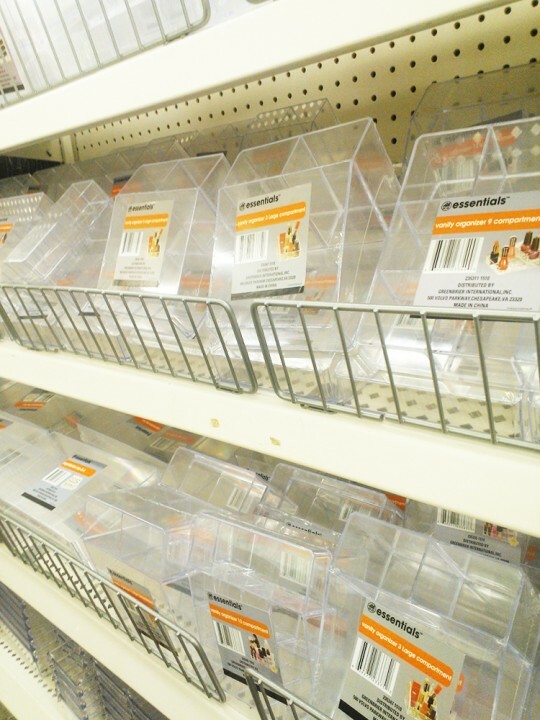 These are obviously not the most amazing quality plastic boxes in the universe, but when I saw them I immediately started dreaming of how my lipstick collection would look all perfectly lined and stacked and I got lost in the wonder of it all. You could use them for a jillion other things I’m sure, but I just happen to think makeup, makeup brushes, hair accessories and all my paint brushes. Really good deal there! 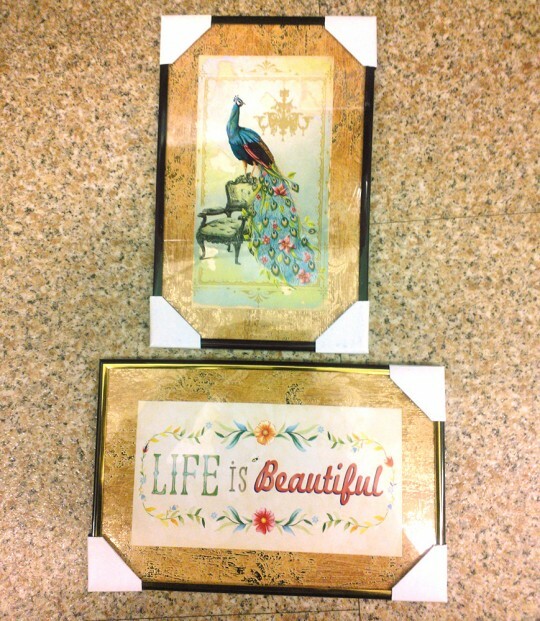 I noticed a few months ago that my store started carrying these little framed art prints. They come out with new designs every so often and I have to say, for a buck, they’re not bad! 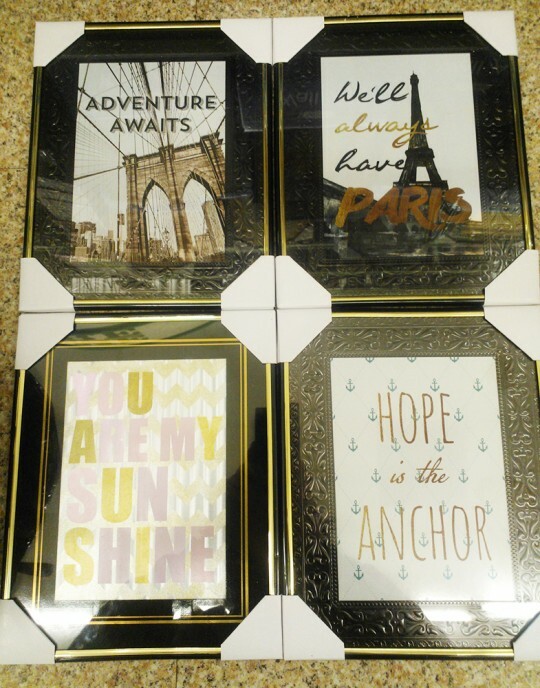 If you’re looking to create a gallery wall, or need some art for your bathroom, nursery, etc., check it out! They also had a great Easter section — a lot of cute things for making a basket. And the fake flower selection is superb, if I may say so. I just happen to be on the lookout for certain things when I’m in a crafty mood, so when I see a big pretty colorful selection of flowers for $1 a bunch, it makes my heart go pitter patter. Wreaths, hair clips, centerpieces, so many possibilities. 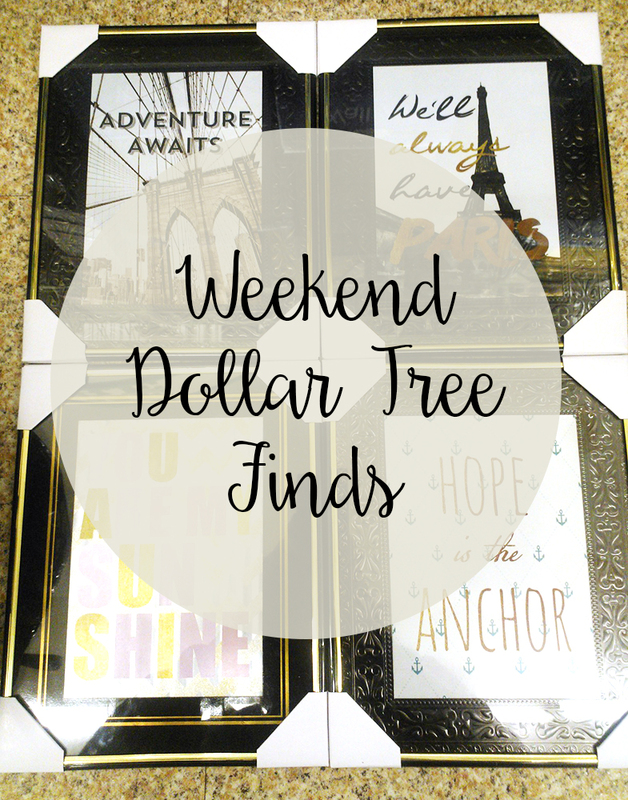 I hope you all can find some fun stuff at your local dollar stores! Do any of you have any other good finds to share? You ever have a day where your kid is being such a giant turd that you wish you could fly like an eagle, to the sea? In this moment, I’m referring to Ruthie. I love that baby pieces and bunches, I do. But g’lawd, the child’s screams could shatter glass. She’s down for a nap right now and Jack and I are using this valuable time to just soak up the quiet, bathing in the blissful silence as our batteries recharge. And when Baby Shrieks-a-Lot awakens from her slumber, refueled and armed for battle, we will forge ahead in unity. For real though, Jack is a champion. He is patient with his baby sis and such a perfect buffer and a calming presence for us girls. There’s just something so steady and not dramatic about him that I appreciate more and more every day. Not that I don’t appreciate my girls. They’re special and wonderful in their own way. It seems like they’re a lot like me and Jack is a lot like Justin. We really love and need those steady men in our lives to calm the cray cray. So Ruth definitely has a uniquely fun and… challenging personality. She’s joyful and silly and actually has a pretty intelligent sense of humor, but she can also be a stinker. That special blend of smarty-pants and booger definitely spices up our lives. 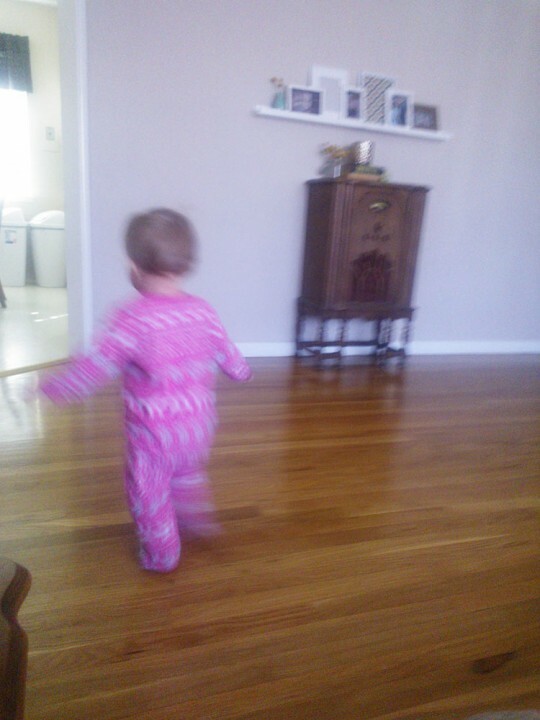 One of the particularly boogerish things Ruth does is when we’re watching a show, she’ll turn the television off. 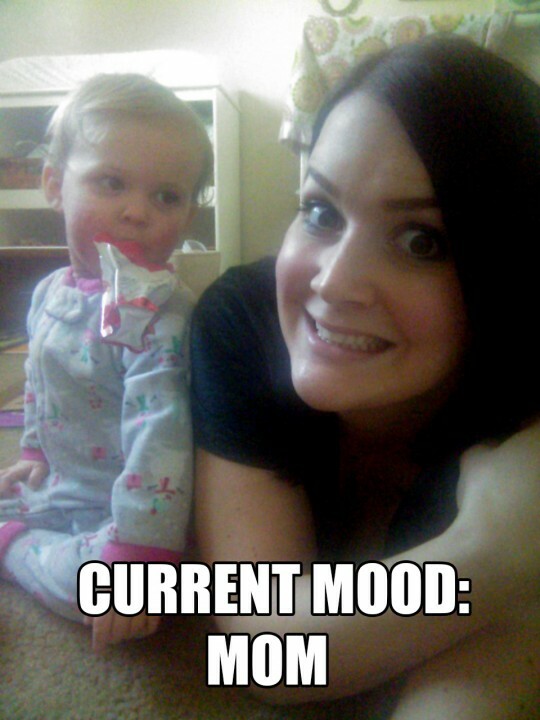 I know this is pretty basic as far as toddler behavior goes, learning boundaries and such, but not only does she push the button after we have told her a hundred times “that’s a no”, she does it with this little sassy smirk as she watches us react. It’s downright rude, I tell you. 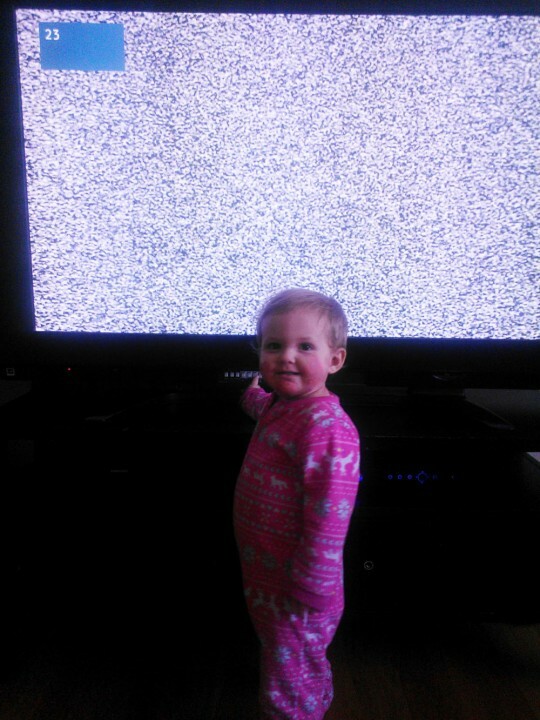 Kindly stop, dear little person of mine, and allow me to watch more than 2 minutes of this show at a time. You make me rewind that stupid Mickey Mouse Clubhouse intro 300 times a day. It’s the least you can do for the sweet one who birthed you. She also snatches my phone and runs, occasionally changing my Facebook profile pic along the way. She smacks the keyboard when I’m typing. Her favorite place to hide remotes, phones, her siblings’ toys is the fireplace — I don’t even know what to do with that. It’s a lot. But I do love her so much. Bless her sassy little heart. I feel like I have to say something nice because this is coming across neg, but can I just be real? The reality is that kids are wonderful and precious and a blessing to be sure, but it’s not always snuggles. 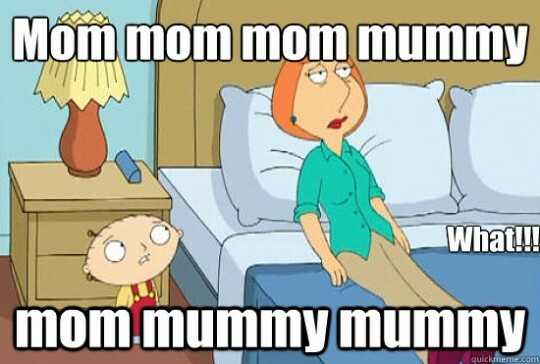 I sometimes find myself blankly staring at one of my children who is making noise (whining, screaming, tattling, etc.) and I like am so worn down emotionally that I can’t even hear the sounds anymore. Like, I see their mouths moving, but nothing is registering in my mind. 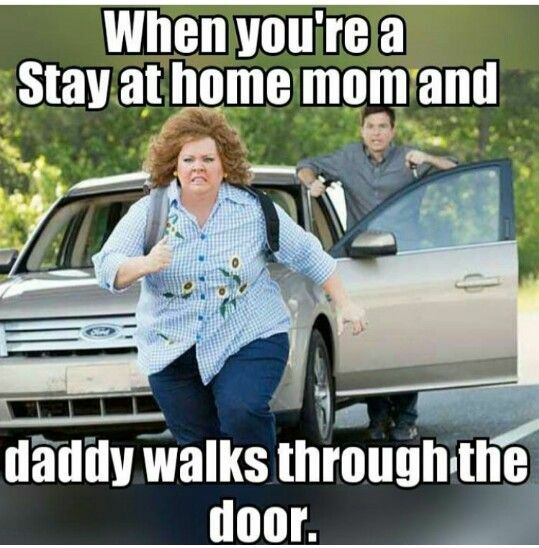 This post is kind of all over the place, but that’s just life with little kids. I suppose there’s beauty in it all — you can go from zero to 100 on the crazy scale and then back again in a few moments. You can be completely frustrated at dinner time because no one’s eating what you just cooked, then have a tender moment with your child that melts it all away. You can be on the brink of exhaustion during the marathon bedtime routine and then in the very last, quiet moments of the day when you’re staring creepily at your sleeping kids, you fully remember and appreciate just how precious those little stinkers are. The calm, the sass, the meltdowns — it’s all part of the package. Even if it’s not always reflected by our moods or reactions, or we’re powering through our day and we haven’t been able to be still long enough to feel those lovey dovey things, we know that the unconditional love for them is still firmly locked in and secure on the inside. So if you happen to see me out at Target with this crazed look in my eyes, frantically throwing things in the cart while shoving snacks in my baby’s mouth to keep her from screeching at inhuman levels, know that I’m probably just feeling very “mom” right now. I’ll be fine in a few minutes.